When Chelsea was a girl, she had a horse named Snowflake, a big, white, gentle creature with a pink streak down her nose and a mane like angel’s hair. Snowflake was Chelsea’s pride and joy, and she loved her horse like every girl who ever had a horse has. Chelsea brushed Snowflake and rode her and fed her peppermint candies and whispered in her ear, which Snowflake liked.The funny thing about life, though, is that when it finds out you love something it can at once conspire to take it away. It was only with good intentions that Chelsea’s mother sold Snowflake, of course. This was in 2003, when Chelsea and Snowflake were both teenagers. Snowflake went to live with a man in Northfield, and Chelsea and Snowflake didn’t stay in touch after that. Like any great relationship, distance and time would still dull the affair until it faded. Chelsea grew up. She went to college and learned journalism and moved out west, where too many good Minnesotans go. She now works there as a journalist. What Snowflake was up to all that time was a mystery to Chelsea. Horse things, probably: hay and apples and flicking her tail to keep the flies off her haunches. But one day in May Chelsea’s journalistic instincts overwhelmed her. She realized that Snowflake could still be around and kicking, so she set out to track down her horse. 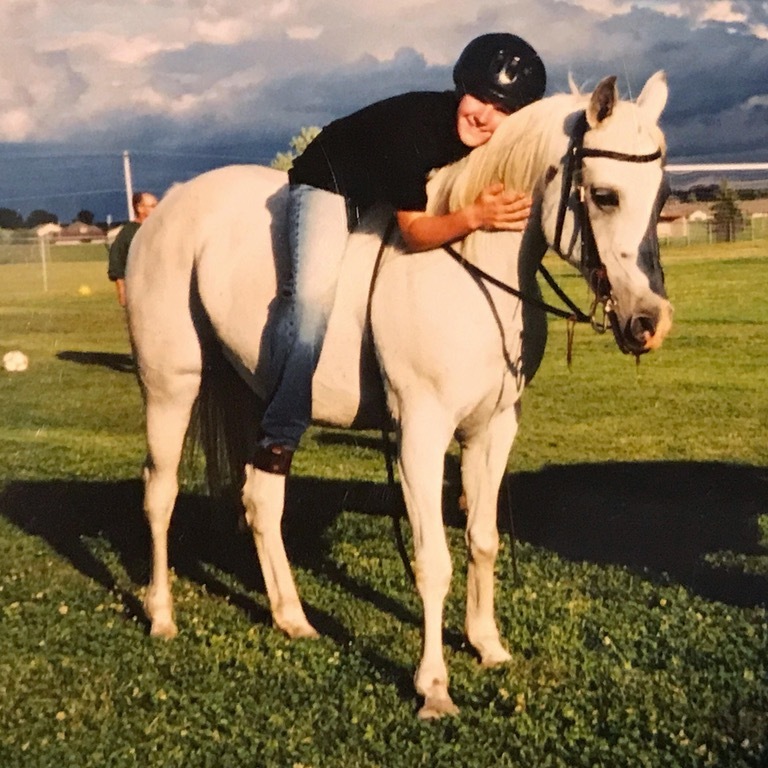 She took to the internet, posting one of the only photos she had of Snowflake to any forum that had anything to do with Minnesota, horses, and Minnesotan horses in particular. The wonderful thing about the internet is that it puts you instantly in touch with experts. It also puts you in touch with bitter, preadolescent boys who suggest terrible things about your immediate family. You have to take the good with the bad in the digital age. Fortunately, an expert found Chelsea before one of those boys did. She went by the name “PrettiestWhistle.” She is the admin of the Facebook group Arabian Horse Detectives, and it is PrettiestWhistle’s purpose online to reunite Arabians, like Snowflake, with their people, like Chelsea. Chelsea could only tell PrettiestWhistle that Snowflake’s registered name was something like “Tomorrow” — not “Tomorrow,” exactly, but like it. For PrettiestWhistle, the game was afoot. She quickly figured the thing out. Snowflake had been registered, in fact, as “Tah Marah,” after her parents Marfeed and Tah Zah. The Northfield man had sold Snowflake to a woman who had kept her for a few years until Snowflake got sick. She gave Snowflake away to a family in the country. Snowflake recovered there in the country and she lived and lived and lived. So Chelsea’s search ended. Snowflake is in horse heaven, where good horses go. Although fourteen years padded the impact of the news, Chelsea had still hoped to see Snowflake again, even in a new photo. See how happy Chelsea is in that photo. If you have a pet, hug them today like Chelsea is in the photo, crystallized in time, forever and ever.